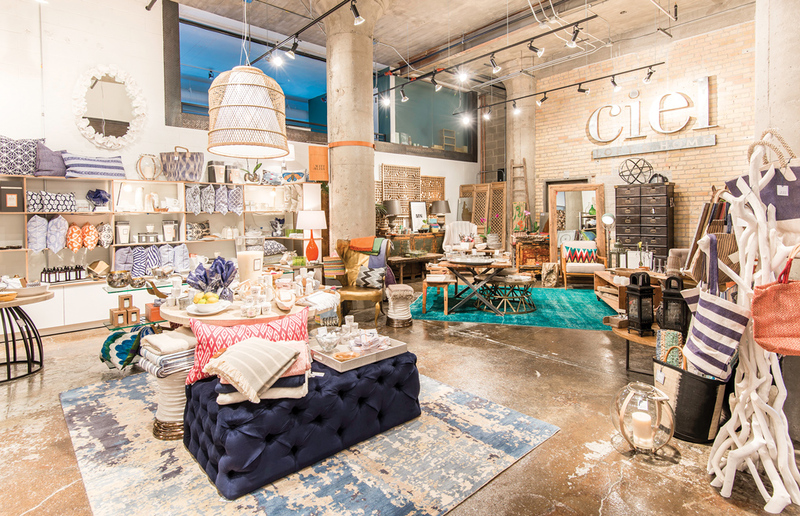 Two new additions have taken up residence in the North Loop cooperative D.NOLO: Ciel Loft & Home, expanding from its St. Louis Park storefront, and Witt + Bliss, a new shop opened by Minneapolis interior designer Martha Dayton. Ciel’s second location features a curated selection of goods similar to those its customers know and love: global-flavored home goods and furniture featuring reclaimed wood, authentic patinas, and acid-wash finishes. Witt + Bliss stocks gifts and home accessories with Dayton’s special flair—pillows in colorful patterns, cotton-linen throws, and a few furnishings. D.NOLO currently has eight apparel, home, and optical retailers in its retail space. Already well worth a browse for its fashions, D.NOLO’s additional offerings make it the must-stop co-op shop. See more at dnolo.com.